The Toddlers have become very interested in bugs and mini-beasts that we find from within our garden. They all created a big hotel together to start to home some of our smaller friends. 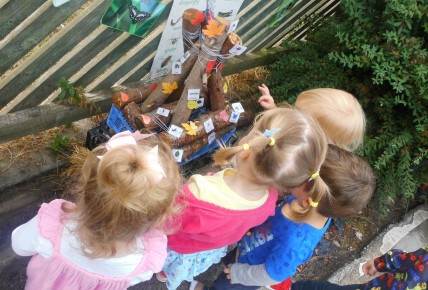 The children regularly look and actively seek to see whether the bugs are crawling in and out. We have magnifying glasses to look further into them small gaps and collected lots of leaves and grass tp kepp them cosy. 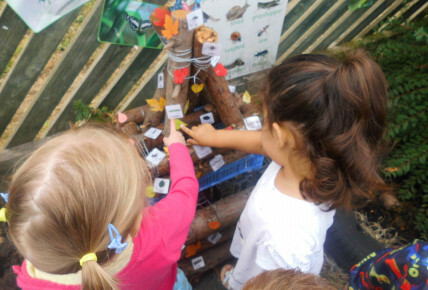 This created a lot of conversation within Toddlers about the life cycles of insect and further animals. If you are interested in taking part in activities like this, please call Emma on 01332 518888.